Four-wheel drive is a fantastic feature to have on your truck or SUV, particularly if you take your vehicle into the beautiful mountains throughout our state. Yet, heading into the Sandias or Sangre de Cristos has the potential to put you on sketchy gravel and dirt, climbing over rocks, or traveling across snow, especially this time of the year. If you’re lucky enough to own a Dodge model such as our four-wheel drive Durango, then you’ve got all you need to hit the mountains around New Mexico this winter- but just when should you use your four-wheel drive capabilities? And where? Melloy Dodge has the answers for you! Four-wheel drive is designed to give your tires extra grip on sketchy surfaces by applying more torque to the surface beneath you. If you’re traveling on the highways around Albuquerque and encounter snowy, wet, or icy conditions, shifting into four-high is a good bet to get you to your destination without harm. Four-high is ideal for this environment because it allows you to travel at normal speeds without compromising your safety. Hitting some ultra-challenging terrain in your four wheel drive RAM truck? Shifting into four-low can give you an edge when it comes to the most serious roads, or where there are no roads, for that matter. The low range is for slower speeds (usually under 40 mph) and gives you the most traction when you need it- in deep sand, snow, or mud, when crossing water, going up very steep inclines, or when climbing rocks. If you’re rocking a newer Dodge model, whether it is a RAM 2500 or the versatile Durango, you will have automatic four-wheel drive settings. This modern convenience is great for when roads are variable, or you are unsure of what setting is right for the terrain. You can simply set it and forget it and the automated function will take care of things for you. Remember, shifting into four-wheel drive isn’t always necessary and using it can result in lower gas mileage, but when the going gets tough, it is a fantastic tool to make sure you arrive at your destination quickly and safely. Be sure to check your owner’s manual for guidance on the specifics of your four-wheel drive system, and don’t take unnecessary risks on the road this winter- some conditions are too dangerous even for four-wheel drive. 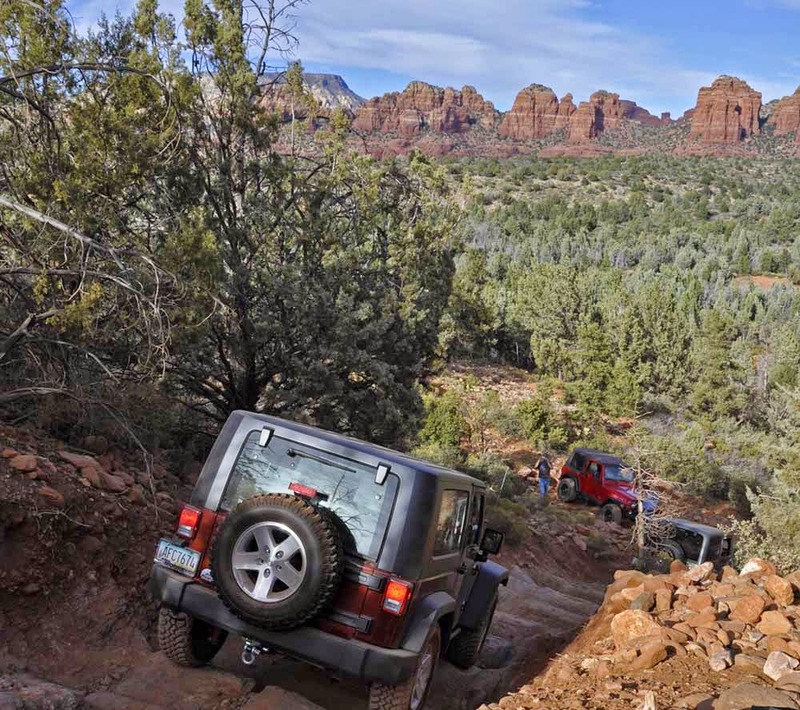 Ready to invest in a new four-wheel drive vehicle to take you to all of New Mexico’s scenic destinations? Stop in at Melloy Dodge in Albuquerque to take a look at our SUV and truck models and get out there!